The Department of Modern and Classical Languages, Literatures, and Cultures offers a program of study leading to the degree of Masters of Arts in German. Our interdisciplinary and comparative approach to the field of German Studies from the Enlightenment and the age of Goethe to the present includes contemporary literature and film, literary theory, intellectual history, gender studies, and world language pedagogy. Concurrent degree programs are also available which combine, for example, a graduate degree in diplomacy or in library science with the M.A. in German Studies. We also have an exchange program with both the University of Heidelberg (university-wide) and the PH Ludwigsburg (for students of the MA in German). A primary goal of our M.A. program is to combine an intellectually stimulating course of studies with a nurturing environment. 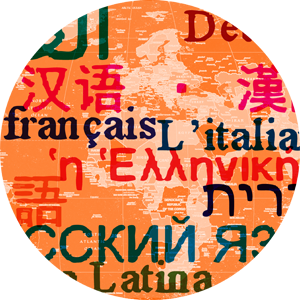 The KFLC: The Languages, Literatures, and Cultures Conference allows graduate students to be part of the oldest continuing foreign language conference in the United States. Innovative Programs: For information about the Masters of Arts in Teaching World Languages (MATWL), the Masters of Arts in Teaching English as a Second Language (TESL), the University Scholars Program (a BA & MA in German which can be completed in 4 or 5 years), please contact the Director of Graduate Studies, Prof. Milena Minkova (mmink2@uky.edu / (859) 257 5710) or consult MCLLC’s web-site.